The fascinating thrill of dominating the world’s land speed record in the 60’s. Craig Breedlove & the Spirit of America – Sonic Arrow, challenged many who were chasing the coveted speed record. 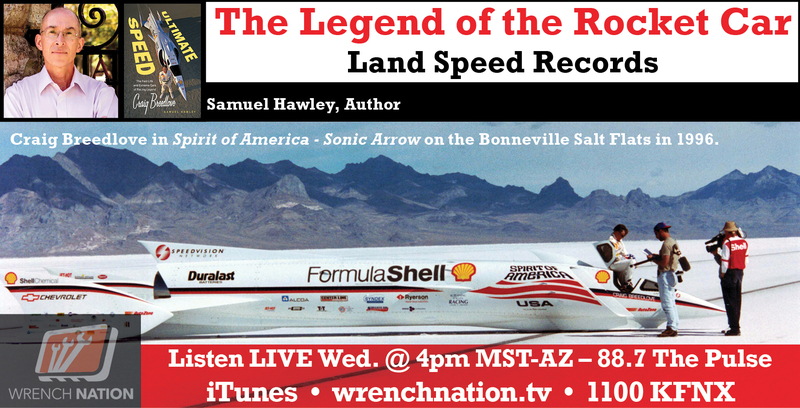 We are honored to have Samuel Hawley – Author of Ultimate Speed: The Fast Life and Extreme Cars of Racing Legend Craig Breedlove. He will share the next move for Craig Breedlove!